At Jetpack Learning we have a passion for Indigenous languages. We are proud of the contribution we have made promoting our native languages in Northern Ireland. 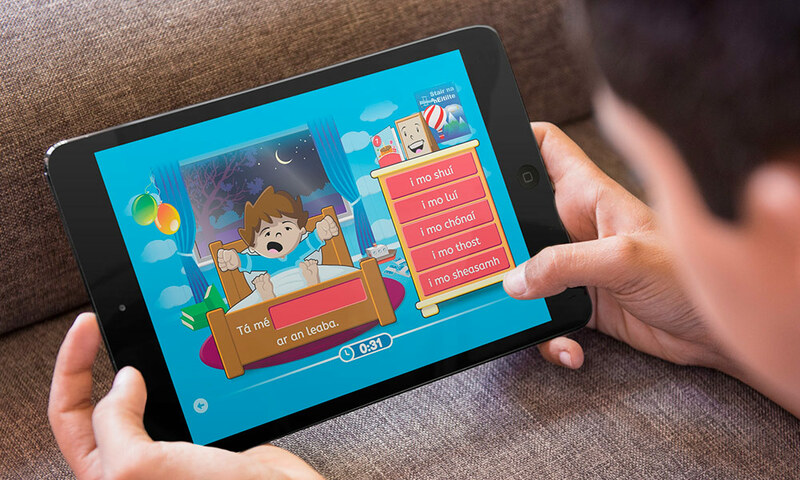 We have created hundreds of interactive learning games for the two indigenous languages spoken here – Irish Gaelic (Gaeilge) and Ulster-Scots. Our HTML5 games do not discriminate in quality between modern languages and more ancient niche languages. We believe that students studying their indigenous language deserve the same fun interactive learning that is expected for modern European languages. Our games are easily adapted to suit a wide range of languages. We have a development methodology that can cope with the limitations some languages have around fonts and we also have functionality to cater for the nuances of varying dialects. Our Rapid Gamification platform means we can have your games up and running in days.